Lone Star Brazos is a 9 year old from the Hemingway, Victor, and Zorro lines. Brazos’ offspring have all had excellent confirmation, soft dense fleeces, and good dispositions. They have consistantly won or placed in the show ring. 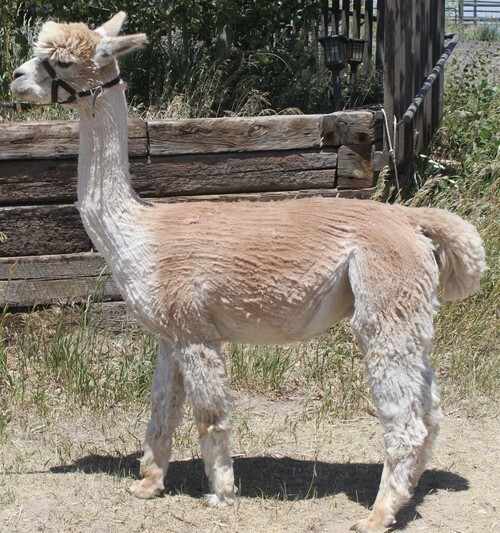 He has always produced crias of color, ranging from Beige to True Black, and they are all improvements on the dam. Brazos is jointly owned with a ranch in Texas, so full or partial ownership is possible. Silky came from the renowned Snowmass herd, and she is no longer with us. She was a very dense white who has passed on that characteristic to her offspring. She was the daughter of Don Julio and Snowmass Golden Silk. Her offspring include a color champion and most of ours took ribbons, including Joe who took a 3rd at the 2007 TxOLAN show. Silky was a very gentle girl, so her offspring have all been pretty easy to work with. 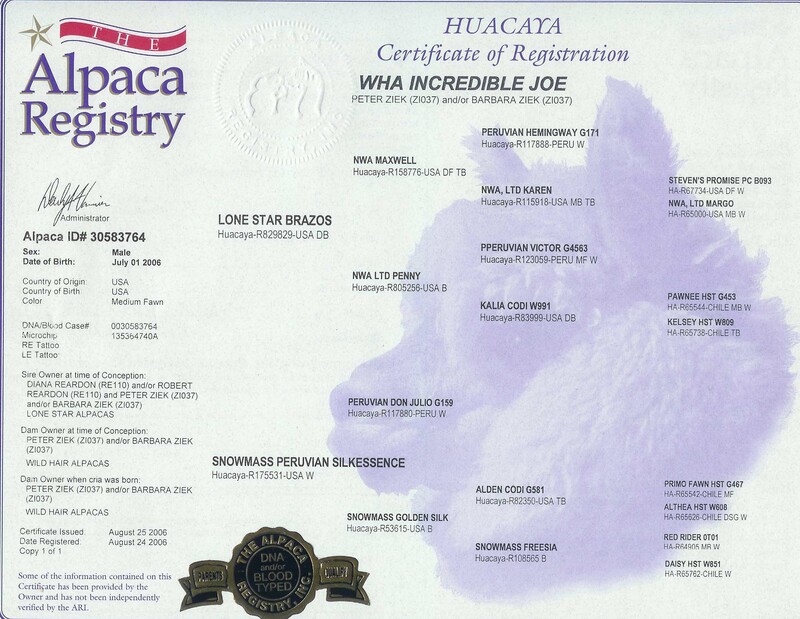 WHA Incredible Joe is a beautiful fawn color and a half brother to WHA Just Bill. He has Hemingway, Victor, and Don Julio in his background. He has excellent confirmation and a soft fleece with good crimp definiton. We have not used him, as he has not maintained his fleece fineness. He may be used as a breeding male by someone else, so he needs a good home where he can go to work. 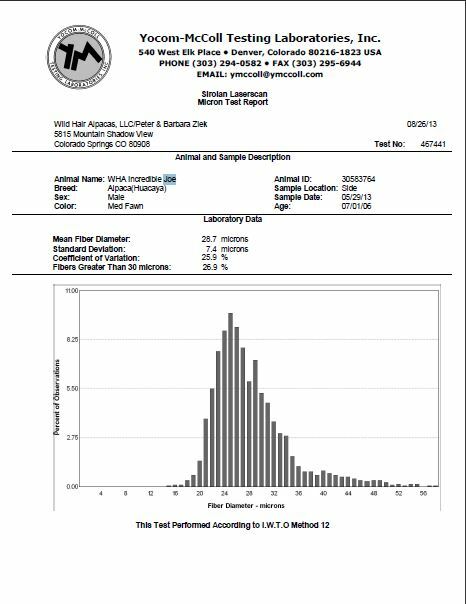 Joe's 2014 fiber stats are: AFD-27.0 , SD - 6.6 , CV - 24.5 , and >30 - 20.4 . This is for a 9 year old male. This is a grade 4 fleece. 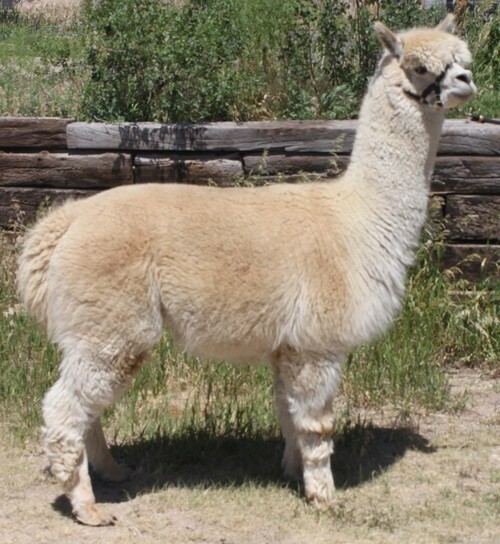 We will work with you to find a viable approach to financing your alpaca purchase. 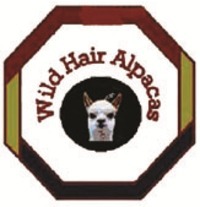 We offer extended payment plans and can help you set up a successful alpaca operation.